My love for Enok/Rahan as a BroTP has been growing stronger and stronger every time. 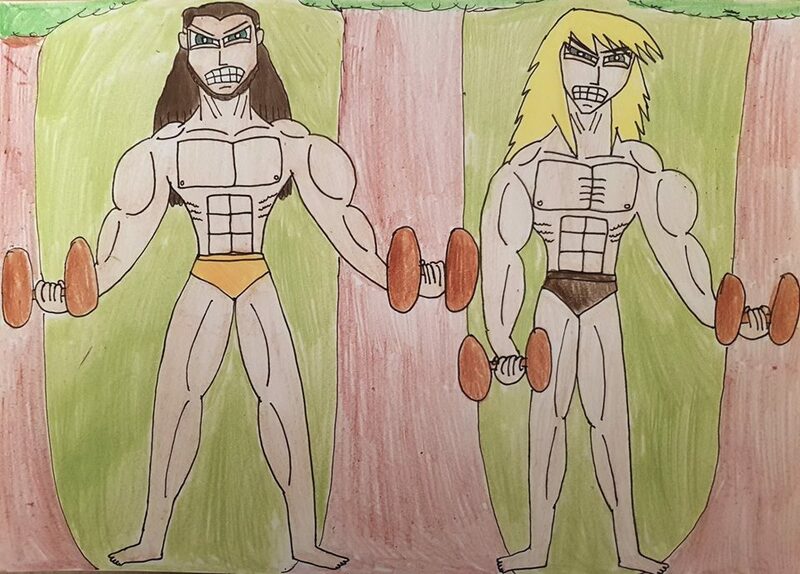 Speaking of strong, Enok and Rahan demonstrate that they are the type of men who firmly convict that lifting weights is essential for every jungle warrior. Isn’t that right, you guys? Rahan: Besides, we got a few words to say to the audience. Enok: Hey, you. Yes, you, you lazy fool. What are you doing? Hating on us? Rahan: Stop hating. Start lifting. Enok: And as for the rest of you, you like these muscles don’t you? Rahan: That’s right. Look at them. Look closely at these muscles. Enok: We warriors have to lift in order to survive and fight. Rahan: But if you don’t like seeing us lift. Tough. We don’t even know why you’re here. Me: Well, folks, there you have it. Is it any reason why these two are such powerhouses and still look phenomenal to this very day? One cannot help but be amazed at just how strong, determined, and fierce Enok and Rahan really are. This has been Antoni Garcia reporting from the Dark Age jungles. So, Enok, Rahan, you guys have any last words to our viewers at home. Rahan: And it’s also dedicated to our awesome wives. The very people who have been very supportive of us and always had our backs. Enok: The chief is in session, especially for you my beloved and sweet Tetya. Tetya: Oh, my brave and proud, Enok. 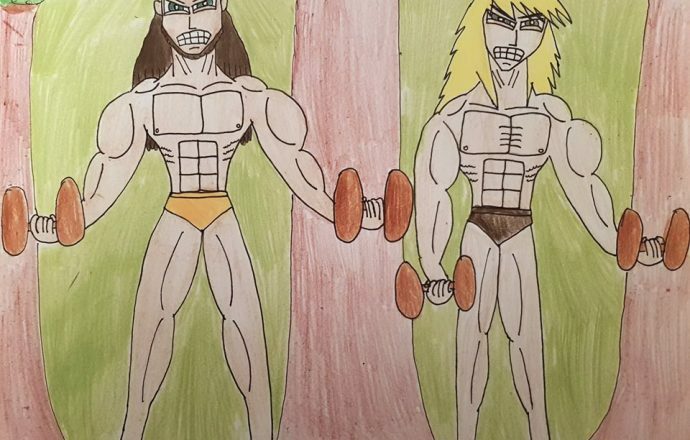 Me: Well, there you have it, two awesome, brave, and totally ripped jungle warriors who have shown their work. It was really nice talking to you, guys. Enok: The pleasure is ours, my friend. Enok, Rahan, and Me: See you later. Enok and Rahan from Rahan: Son of the Dark Age belong to Roger Lecureux, Pascal Morelli, Marc du Pontavice, and Xilam.